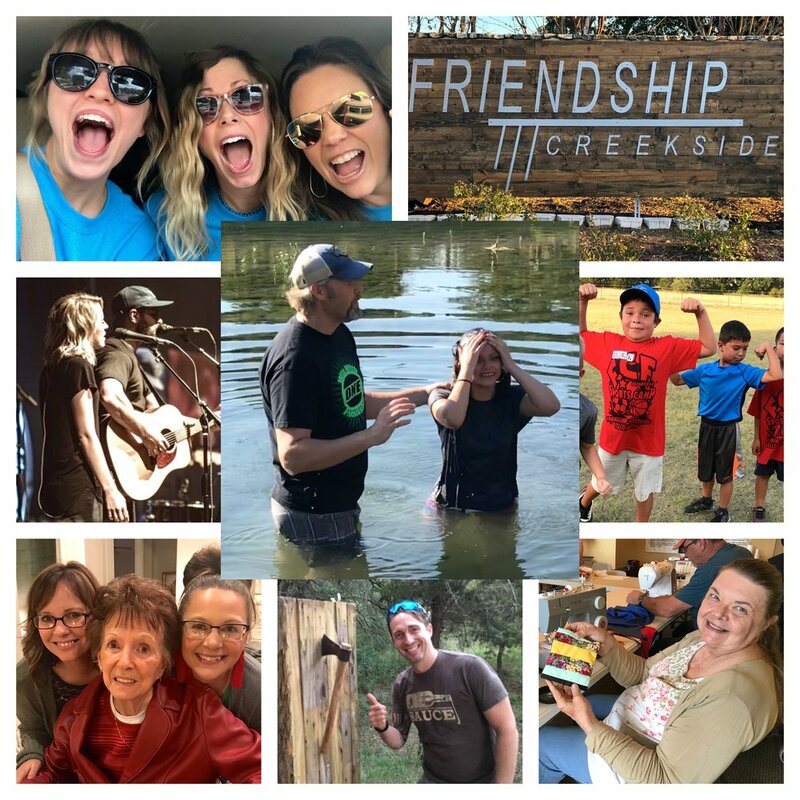 2018 was a year of blessings, growth and life change at Friendship Creekside. As Friendship continues to serve out our mission and vision locally and globally, we invite you to be part of something special here in your neighborhood. Click here to see 2018 in photos and join us for 2019! Everyone is welcome at Friendship. You’ll get a sense of that as soon as you walk through the doors. Our church body is made up of people from many walks of life, and people who are in different places along their journey to know Jesus. The messages are scripture based and point to the one truth in this world; God, the creator of the universe has a plan for you and your life. He loves you and wants to help you because he made you - on purpose, with a purpose. From the minute you drive up you’ll be welcomed into a friendly, casual environment by people who are excited to see you. You’ll hear high-energy worship music, fun teachings for your kids, and each service lasts about one hour. We believe the church is not somewhere you go, its something you are. God created you with gifts and skills that you can use to change lives in your community and the world. As you leave Friendship on a Sunday, our desire is you feel equipped to live out your faith daily.